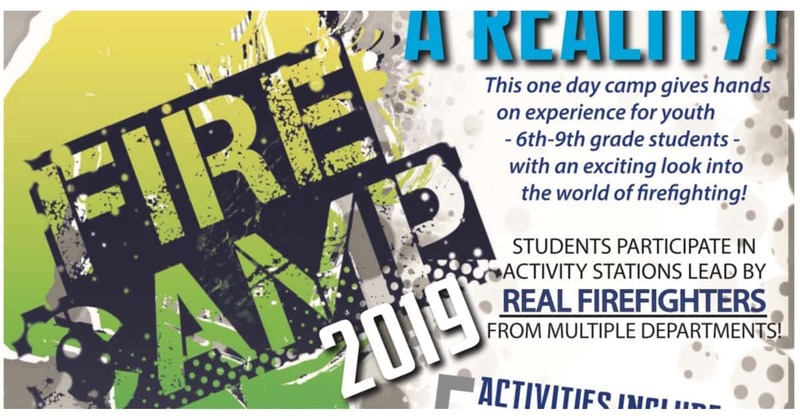 Registration is open now for Fire Camp 2019! This one day camp gives hands on experience for youth ages 6th – 9th grade. An exciting view into the world of firefighting! REGISTER NOW – it’s free for the first 120 students to sign up. DEADLINE extended to April 10th – sign up today before all the slots fill up. 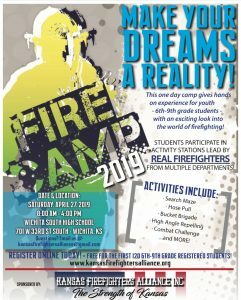 Sponsored by Kansas Firefighters Alliance, Inc.